Twinkling lights are bound to get you caught up in the holiday spirit. 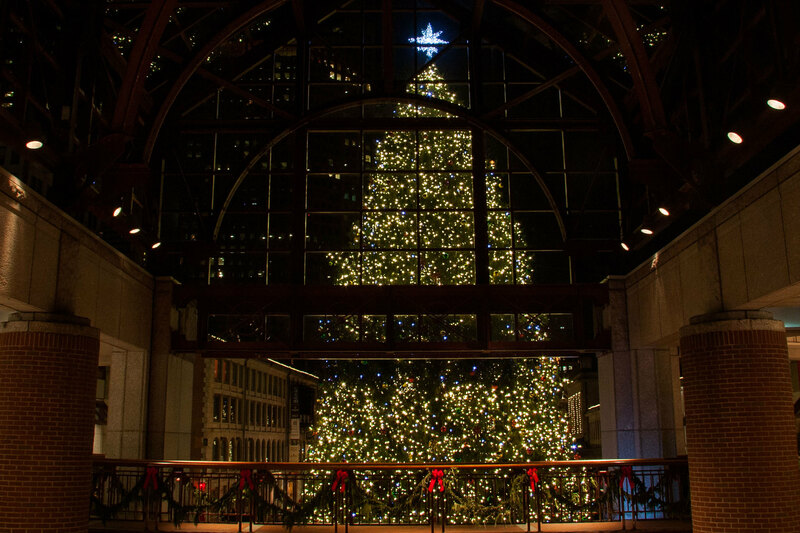 Whether a simple decorated tree or a choreographed show set to music, seeing Christmas lights is one of the essential things to do in Boston during the holiday season. 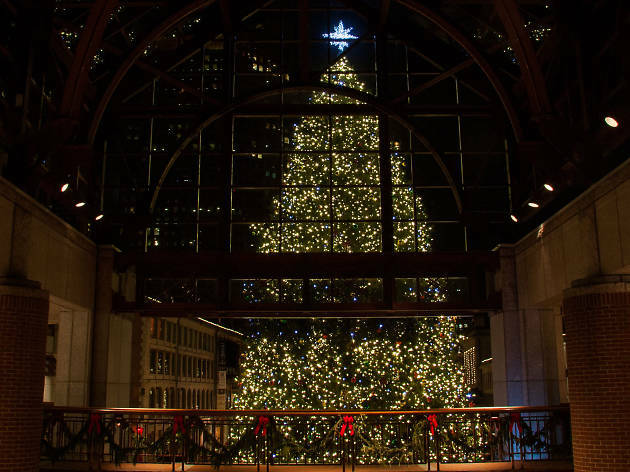 From LED-festooned trees on the Boston Common or Faneuil Hall’s glittering giant spruce, check out these holiday displays in and around the Boston area. 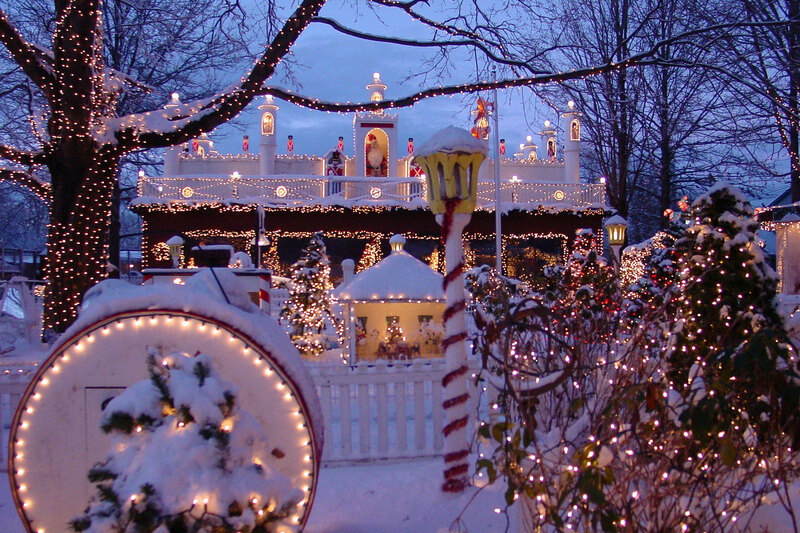 Then you’ll be in the mood for shopping at the best holiday markets in Boston and checking out one of the best Christmas events in Boston. 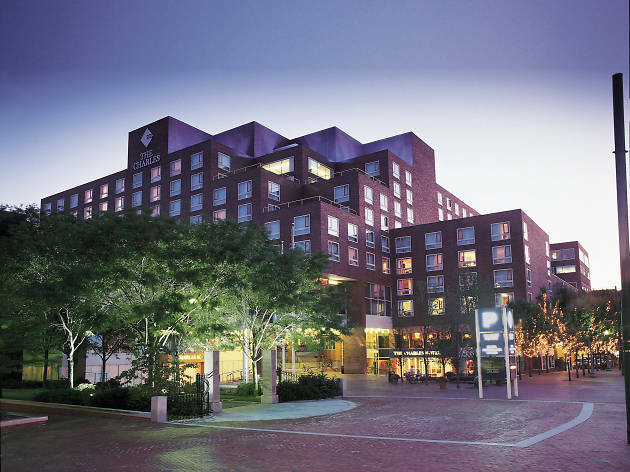 Cambridge’s top hotel is bringing the holiday cheer with its annual holiday celebration, free and open to the public. New this year is a holiday market in the lower courtyard, opening at 2pm. 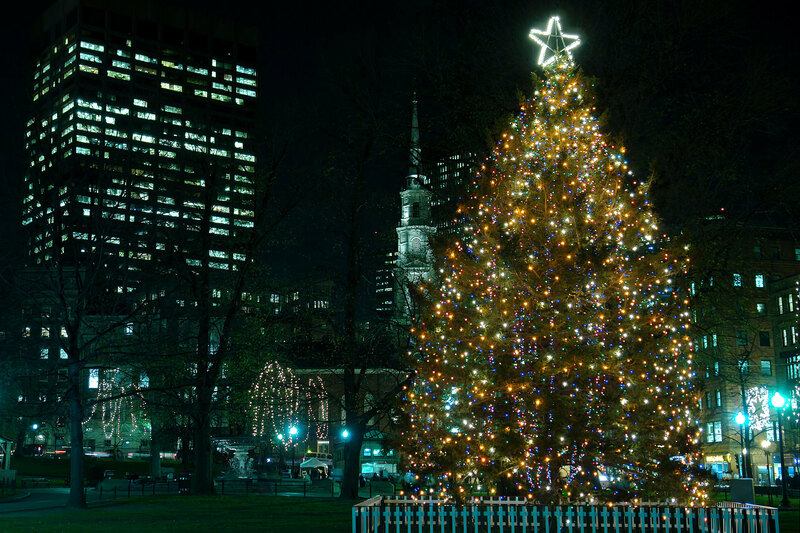 At 4pm, the public’s invited to help decorate the trees while enjoying complimentary treats from Henrietta’s Table and clam chowder from Legal Sea Foods. Santa Claus’ Jazz Band will perform at 5pm, followed by the lighting of the trees at 5:30pm. After Santa makes an appearance, the Saint Paul’s Boys Choir will cap off the festivities with a spirited performance. 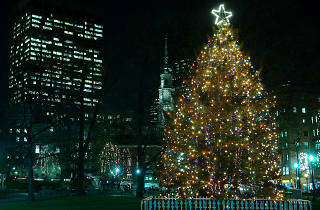 Each year, Boston receives a tree as a gift from Nova Scotia. As the tree is lit, the Common is transformed into a winter wonderland of lights and decorations. 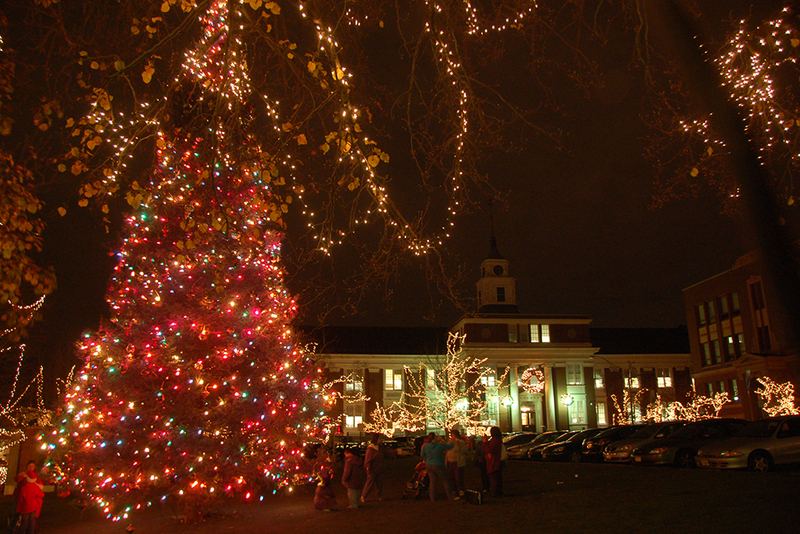 The tree lighting itself is a festive annual tradition, with music, refreshments, the Frog Pond Skating Spectacular, and fireworks. After enjoying the lights in the Common and the Public Garden, stroll up to the Commonwealth Avenue Mall to check out the illuminated lights strung among the trees. Bundle up and head to ZooLights where twinkling lights decorate the paths and areas around the animal enclosures. Wander the festooned Yukon Creek Pavilion among bald eagles, porcupines, lynx, reindeer and arctic foxes. Pose for pics with Dasher and Dancer the reindeer, and be sure to check out Santa’s Castle. 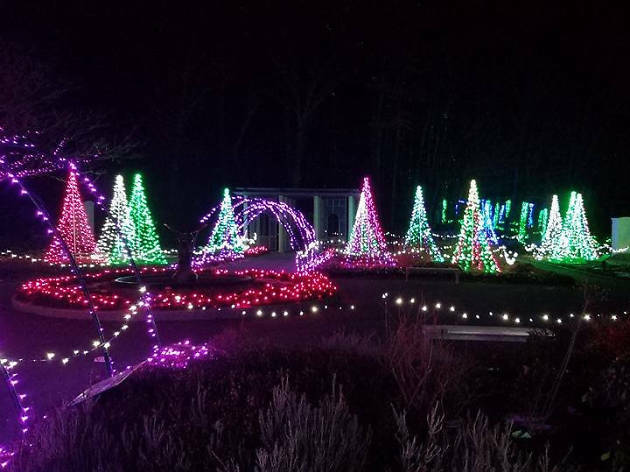 Each year, Tower Hill Botanic Garden celebrates the season by decorating with thousands of lights. Visit at night to experience mesmerizing nature patterns displayed in light throughout the 15 acres of gardens and woodlands. There’s even a Fairy Light walk through the forest, ending with a “Wild Rumpus.” Enjoy s’mores, warm drinks, and photo ops. 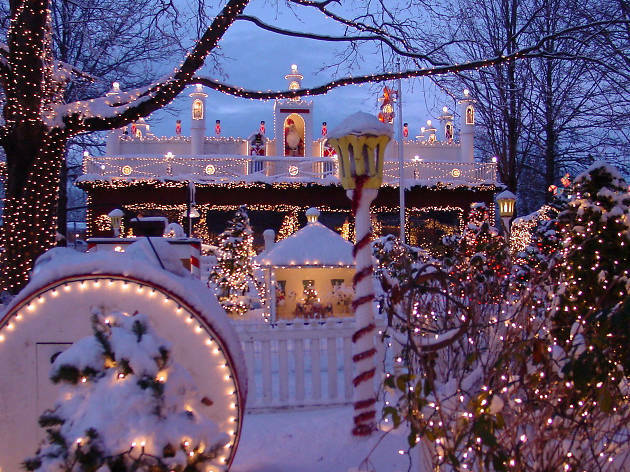 Somerville residents display their creativity each holiday season by decking their houses with glowing lights and holiday figurines. 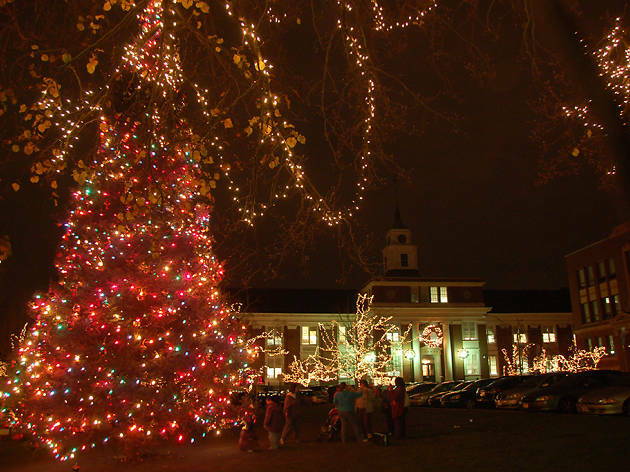 It’s easy to enjoy the lights any time on your own, but make an event of it by joining the Somerville Arts Council for the Illuminations Tour, a one-night-only tour of the lights. The 45 minute trolley ride leaves from City Hall and hits all the highlights. Hot chocolate and cookies are served, and there are activities for kids. This year’s tour will also highlight new light sculptures commissioned by the town. 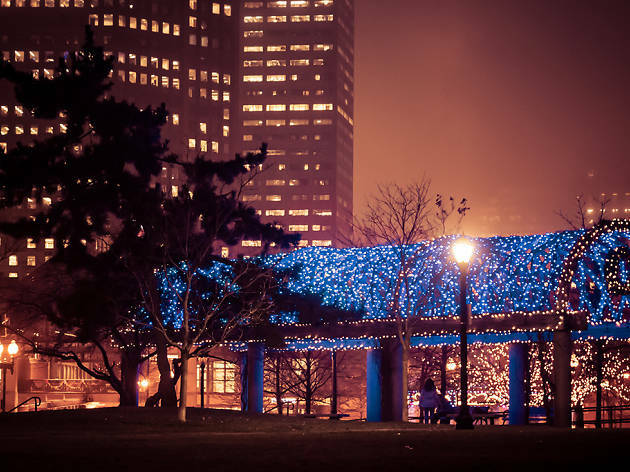 During the darkest time of year, colorful lighting displays along the Greenway bring warmth and cheer. 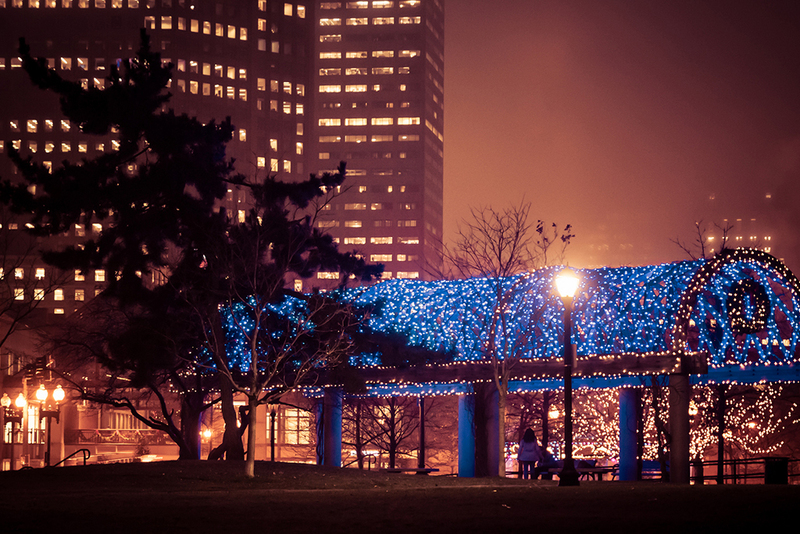 Beginning with the holiday season in December, the parkway glows from Chinatown to the North End. Light displays and decorated trees bring the holiday spirit. The light displays remain on display until March. 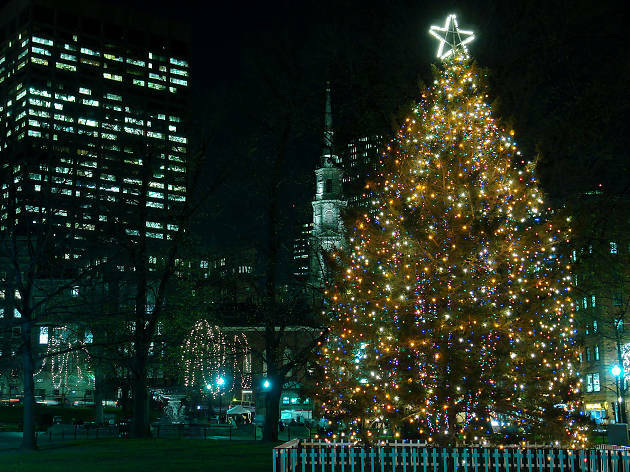 The twinkly-light season officially kicks off with the return of the infectious light and sound installation that blankets Faneuil Hall through the holidays. More than 350,000 LED lights join forces with Holiday Pops tuneage for a seven-minute looped performance that miraculously manages to be addictive, not grating. Complementing the spectacle is the city’s largest Christmas tree—an estimated 20 feet taller than the one in Rockefeller Center. 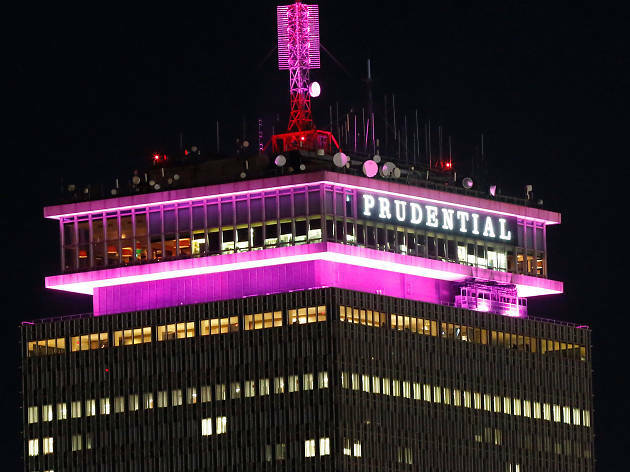 Always wondered why the top of the Prudential Tower turns a different color every day of December? 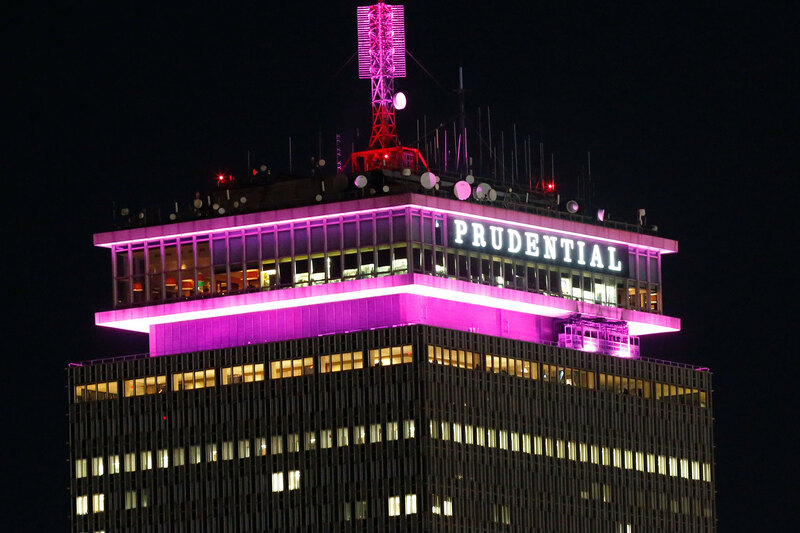 Each year the building dedicates one day to a different local nonprofit, lighting up the tower in a specific color related to that group. (One more reason to look up from your smartphone.) Each night also gets its own music and special speakers.